Forestburg UMC 2012 Christmas Parties - Forestburg U.M.C. Ladies of the church gathered on Wednesday, December 5th, to enjoy an afternoon of friendly "Bingo" competition, gift exchange, food and fellowship. The United Methodist Women (UMW) are always seeking out ways to minister to the surrounding community. They meet on the first Wednesday of every month at 3:00p.m. to create "Prayer Blankets" and then they hold their monthly meeting at 4:00p.m. Ladies, come join in on the FUN! 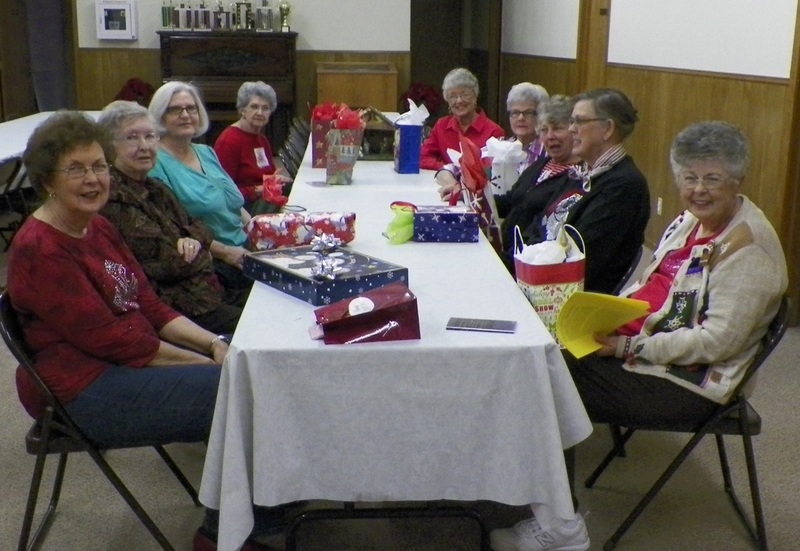 On December 12, 2012 members and guests of the Forestburg United Methodist Church gathered to celebrate Christmas as a church family. The evening began with some wonderful fellowship as families and individuals arrived with home-cooked goodies of every kind. After a prayer of "Thanks" everyone helped themselves to their favorite foods. The evening was capped off with a gift trader game. On this very special evening everyone left the church feeling like a winner and a very special child of God.